Budget for your groceries, help the school, and lower your tuition all at the same time! St. E's sells gift cards at face value for many of the grocery stores, home improvement stores and restaurants in the area. Purchase a $25.00 gift card for $25.00. The store will give the school a small discount which can be applied to your personal tuition and/or to the support of the entire school. Neighbors, relatives and friends can all purchase gift cards; giving specific students credit (and thus decreasing their tuition) or benefiting the entire school. 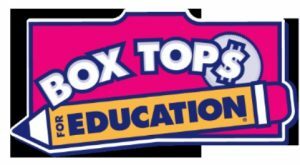 Save "Box Tops for Education" to support our school. Earn cash for St. Elizabeth every time you shop for groceries. Clip the special Box Tops logo from any of the hundreds of products that carry them. Each box top coupon is worth 10¢ for our school - and that adds up fast! Please send in your Box Tops in your child's white envelope the second week of each month. Classrooms are competing for the highest percentage of collected box tops for a dress down day at the end of the year. Save your Redner's receipts and turn them into the school. The school will receive 1% for all eligible purchases from Redners. When you are shopping on line with Amazon, please use the Amazon Smile link. 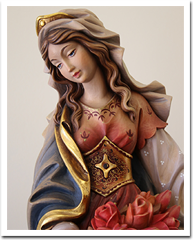 The parish and school will receive a small percentage of your purchases. Did you know that you can re-direct 90 - 100 % of your state taxes to fund need-based scholarships for students in any of our Diocesan schools instead of sending your money to Harrisburg? This is a state, not federal program, so individuals will benefit only if they pay PA state income taxes. It is a (2) year commitment, so individuals should consult their tax advisor to estimate their PA income tax liability for 2019 and 2020. Eligibility to participate is limited to accredited investors as defined in this brochure.